Sort of. 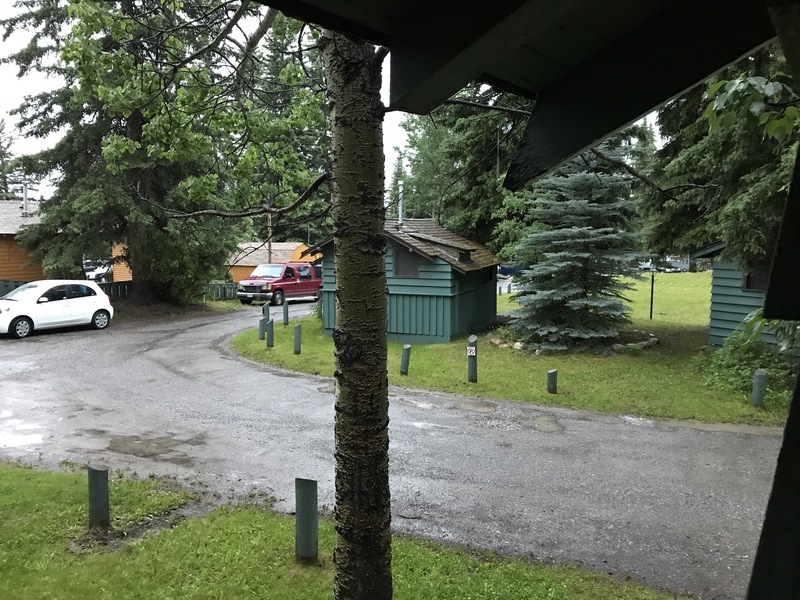 Last night we just missed a huge down pour in Canmore. It rained hard for an hour and then let up. 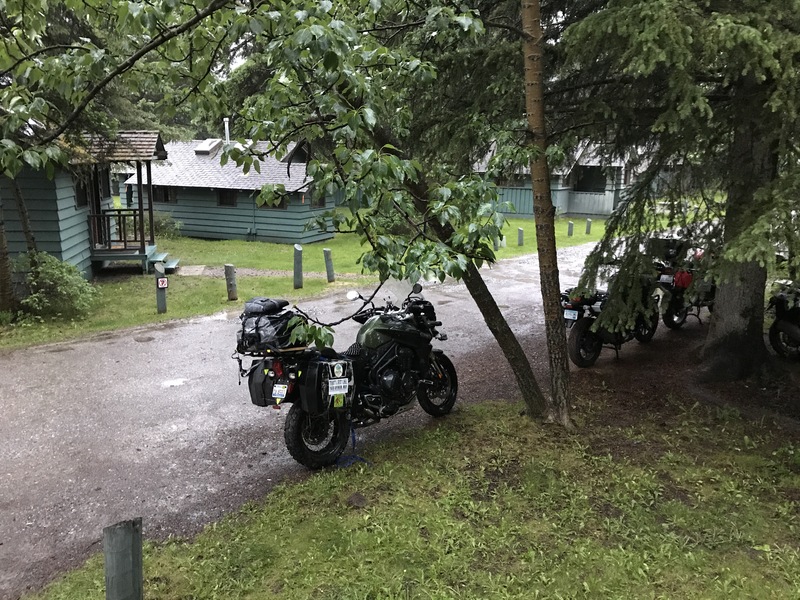 The forecast once again got the best of us and we talked ourselves out of continuing on so we stayed in a little cabin last night. Today we need to make some miles, so we are up early and getting to it. It is going to be cold and rainy today. I’m hoping we will ride out of the rain as we head north. It could be a pretty miserable today. Then again, I could also be at work.